For me, it takes a village to write a book. Intrigued by the extraordinary migration of Red Knots, I raised the possibility of a book with Charles Duncan, then Director of Manomet’s Shorebird Recovery Project. He immediately invited me to a meeting of the Who’s Who in Red Knot conservation, the second meeting of the Red Knot Working Group, and then introduced me to everyone – many people from many countries, all devoted to protecting shorebirds. Deborah Cramer, author, at Wingersheek Beach in Gloucester, MA, November 13, 2014. The meeting, held in an airless hotel conference room, is no place to set a book, but thanks to Charles’ good will, and the good will of his many, many friends, I traveled thousands of miles from the tip of South America up into the icy Arctic, accompanying Red Knots – an exploration sometimes unnerving, and always exhilarating. From it emerged The Narrow Edge: A Tiny Bird, An Ancient Crab, and An Epic Journey, my firsthand report of two epic journeys: of the Red Knot, once an icon of “untrammeled wildness and freedom” but now endangered; and of the horseshoe crab, an odd and ancient animal whose eggs fuel shorebird migration and whose blue blood, unbeknownst to many, safeguards human health. Today, the migration of the Red Knot is like climbing a ladder, where every rung is necessary, and broken ones along the way jeopardize the entire journey. We broke this ladder rung by rung. Rung by rung, we can fix it, and must. Manomet is essential to this work. Wherever I travelled along the flyway, to a beautiful visitor center in Las Grutas, Argentina, where people experience the mystery of migration, or to a reserve on the marshy edge of Argentina’s rapidly expanding city of Río Gallegos, everyone knew and loved Charles, who helped turn their dreams of protecting shorebirds into reality. He’s not the only one. In 1979, Brian Harrington, a beloved Manomet ornithologist, and Guy Morrison from the Canadian Wildlife Service, rented a cheap, dilapidated Citroën to make a hair‑raising, death-defying trip down the coast of Brazil and Argentina. The car literally fell apart as they drove. After 2,000 miles, they arrived in Tierra del Fuego to find the northern winter/austral summer homes of Red Knots, putting the birds on the map as some of the planet’s longest, long-distance migrators, a contribution critical to the birds’ survival. They shared their funny, and pivotal, story for The Narrow Edge. Like Charles, Brian also appears at many rungs along the flyway. They are both retired – it seems in name only – but the next generation of Manomet scientists continues and expands the work. Writing The Narrow Edge in Georgia, I heard how Brad Winn, exploring the shifting shoals at the mouth of the Altamaha River, unexpectedly came upon Red Knots flying so low he heard their wings rustling. With the rufa Red Knot threatened under the Endangered Species Act, each rung on the migration ladder matters. Thanks to Brad and his colleagues, these shoals, with windrows of tiny clams sometimes knee‑deep, are now recognized as a key stopover for Red Knots flying south in autumn. The Journal of Wildlife Management will soon publish a paper describing the importance of this special Georgia location. Global warming alters the calculus for Red Knots. Writing for Audubon, I cited the work of two Manomet scientists – Hector Galbraith and Stephen Brown, now Manomet’s Vice President of Shorebird Conservation, who, with colleagues, determined that a warming earth increases the risk of extinction for almost 90% of North American shorebirds. Their exciting research specifies how, and where. The story of the Red Knot is the story of millions of shorebirds whose numbers are dropping. Brad, Rob Clay – who, at Manomet, directs the Executive Office of the Western Hemisphere Shorebird Reserve Network – and scores of partners along the flyway developed a comprehensive plan which, over the next ten years, can stanch these losses and begin to restore the birds and their homes. I’m excited to watch this dream become a reality. After almost four years of work, I finished The Narrow Edge, an eyewitness account of distant, remote places readers might never visit themselves; a story of people dedicated beach by beach and season by season to repair the sea edge; and an invitation to consider how the life and fate of a plucky little bird is intertwined with ours. Manomet – thank you so much. 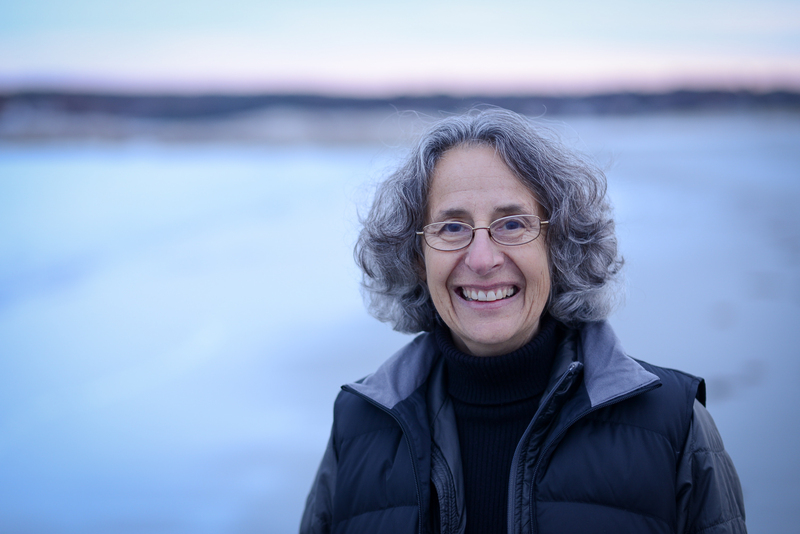 Deborah Cramer is a visiting scholar at MIT’s Environmental Solutions Initiative. The Narrow Edge is the recipient of the Rachel Carson Book Award from the Society of Environmental Journalists, and the Best Book Award from the National Academy of Sciences.